Most popularly known as Santra, this juicy and delightful fruit is best known for its highest concentration of vitamin C. Considered as a wonderful snack, it contributes to a special tangy taste to any recipe it is added to. Although variety of oranges have a slightly different glycemic index, the estimated glycemic index of a medium sized orange (approximately 100 grams) is 43, which means it falls under low GI category. Therefore it is safe to have this pulpy fruit whenever you feel like munching on something. Glycemic load of orange is 5 which means it is low glycemic load fruit and is totally healthy to have oranges. 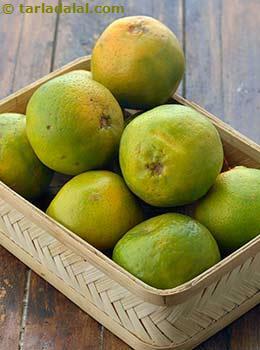 Choose this round fleshy citrus fruit over sweetened orange juices. Are Oranges Safe for Diabetics? Yes, Oranges are safe for Diabetics to have as they are low in GI and don’t raise your blood sugar levels rapidly. The high fiber content of oranges allow to control the blood sugar levels with slow absorption in the bloodstream. Yes, oranges are absolutely great for weight loss because of it is low in calories. Since oranges are also high in fiber, it will remain in the stomach for a longer period of time and the person will remain satiated. Its high vitamin C content also contribute to weight loss. Glycemic index is an estimation of how rapidly the carbohydrate in the food increases your blood glucose levels. There are foods which quickly raises your blood sugar levels and are considered towards the higher end of the GI scale while the one which raises your blood sugar levels gradually, on the lower end of the glycemic scale. The foods which are high in glycemic index eventually leads to unbalanced blood sugar levels.